CarGurus has 281 nationwide Escape Hybrid listings starting at $2,000. Traditional state-of-the-art techno-features, a gas-saving hybrid drivetrain, a well-wrought available auto-park feature and available all-wheel drive, as well as unencumbered visibility all around, are some of the pluses offered with the 2012 iteration of Ford’s Escape Hybrid. The dated braking system aboard the eco-friendly 2012 Escape Hybrid crossover, as well as its frustrating split-folding rear seats, lazy acceleration from the hybrid drivetrain, a low-ball interior presentation and mileage numbers that often don’t add up may force a few tire-kickers to look elsewhere. 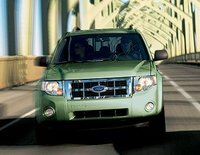 If budget-friendly gas savings are the only motivation for choosing the 2012 Ford Escape Hybrid, then have at it. But be aware that this compact crossover offers enough practicality to complement its traditionally well-wrought techno-bling and that it remains available with full-time all-wheel drive. However, as competent as the Escape Hybrid lineup looks on paper, many rivals top it in overall refinement and performance. In its final year as a member of the Ford Escape family, the 2012 Escape Hybrid compact crossover offers all the bells and whistles of its non-hybrid siblings, along with class-leading fuel economy. This 5-passenger hybrid cute-ute has captured the fancy of reviewers and consumers alike with high-tech features, a spiffy, if somewhat aging, profile and its efficient 2-mode hybrid performance. Unfortunately, all this enviro-friendly technology comes at a pretty hefty base price, along with some build-quality issues, low-rent cabin materials and a distinct laziness from the hybrid-electric powertrain. Additionally, the rear drum brakes that are still standard in all Escape variations have proven themselves inferior to the 4-wheel disc brakes common to the small crossover market, while the split-folding rear seats are still a monumental hassle to actually use. Nonetheless, this little crossover, again available in the base Hybrid trim level and the top-shelf Hybrid Limited editions, can be delivered with front-wheel drive (FWD) or with available intelligent all-wheel drive (iAWD), those versions euphemistically labeled 4-wheel drive (4WD) by Ford. Standard FWD trims continue to carry a 4-cylinder Atkinson hybrid gas engine and a 70-kilowatt electric motor, while 4WD versions tote an extra electric motor dedicated to adding power to the rear wheels for extra traction when the going gets tough. Its 66.1 cubic feet of cargo area (with the rear seats folded) will accommodate some hefty vacation loads, while the 27.8 cubic feet of space with rear seats upright ought to handle a week's worth of groceries, as well as a few soccer balls and several pairs of dirty cleats. As this is the Escape Hybrid’s swansong year, there are, needless to say, no new accoutrements for 2012 variations. Next year’s Escape will offer a whole new spectrum of design reworking, feature upgrades and performance tweaks—but no Hybrid trim. Toyota’s well-wrought Venza Hybrid and Honda’s legendary Sonata Hybrid offer Ford’s hybrid-electric-vehicle (HEV) its most direct competition in this limited class. Each is considered superior in refinement and practicality, with base MSRPs remaining similar. Toyota’s just-introduced RAV4 EV, an all-electric crossover, and VW’s Jetta TDI with its super-efficient diesel powerplant, also give consumers further options over the conventional gas-burner. In the crowded compact crossover field altogether, meanwhile, prospective owners should check out rivals such as the Chevy Equinox, Honda CR-V, Kia Sportage and the Subaru Forester, all reasonably fuel efficient alternatives in the non-hybrid sector. Once again, the 2012 Escape Hybrid comes equipped with a 2.5-liter inline 4-cylinder (I4) Atkinson Hybrid gas powerplant that combines with a 70-kilowatt electric motor for a total of 177 hp at 6,000 rpm. Torque, meanwhile, is maxed out at 136 lb-ft when under the management of the ubiquitous continuously variable transmission (CVT). With its automatic engine stop/start capability and the ability to scoot up to 25 mph on electric power alone for short distances, the Escape Hybrid is estimated to get some 34 mpg city/31 highway in the FWD configuration, with 4WD versions running at an estimated 30/27. Auto engine stop/start technology, of course, saves on gas, while regenerative braking once more helps the gas-powered I4 reinvigorate the nickel-metal hydride battery pack. Finally, towing remains maxed out at 1,000 pounds with the proper equipment. As mentioned, in 4WD versions, the added electric motor is dedicated to the front-wheel drivetrain, while the other spends the majority of its time powering the rear wheels when traction is needed from all four tires. Be advised, however, that this AWD hybrid crossover is not truly off-road capable. Reviewers note that the Escape Hybrid will never pound out neck-snapping acceleration and that the CVT can often become a bit sluggish at passing and merging on the highway. 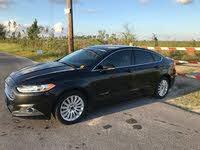 Hilly terrain also puts a strain on the hybrid powertrain, while the gas-powered four-banger sounds more than a little unrefined on hard acceleration, comparatively speaking. Most reviewers will concede, however, that around town and for sedate cruising, the Escape Hybrid shows enough oomph to be comfortable, not to mention doing its bit in saving both gas and the planet. Ford’s 2012 Escape Hybrid again offers a 4-wheel independent suspension bolstered by MacPherson front struts, a multi-link rear end and a stabilizer bar in front and rear. This system is further refined with standard 16-inch alloy wheels mounting all-season tires. Ride comfort in this little gas-electric ute is described by most reviewers as adequate, given its aged design, with the added weight of the hybrid system tacking on an extra measure of steadiness that’s missing in non-hybrid variations. Bumps are, according to reviewers, more audible than tactile, while a tendency toward float and wallow are present, but not to a bothersome degree. Steering, meantime, is noted by most reviewers to be a bit numb and over-boosted, especially at low speeds, though body lean in turns is described as almost non-existent. Reviewers also appreciate the fact that this ute’s compact measurements adapt well to tight spaces. Alas, the rear drum brakes that traditionally endow the Escape lineup are again declaimed by reviewers as incompatible with modern-day stopping needs. In testing, a relatively lightweight non-hybrid Escape needed 154 feet to come to a stop from 60 mph, some 30 feet longer than the average for this class of vehicle. Additionally, brake fade got progressively worse from the overheated rear drums, adding to frustratingly longer stopping distances. Once again, reviewers question Ford’s wisdom in continuing to equip the Escape lineup, including the otherwise well-equipped Hybrid, with this outmoded braking technology. If there’s one thing Ford is famous for, it’s state-of-the-art tech features. 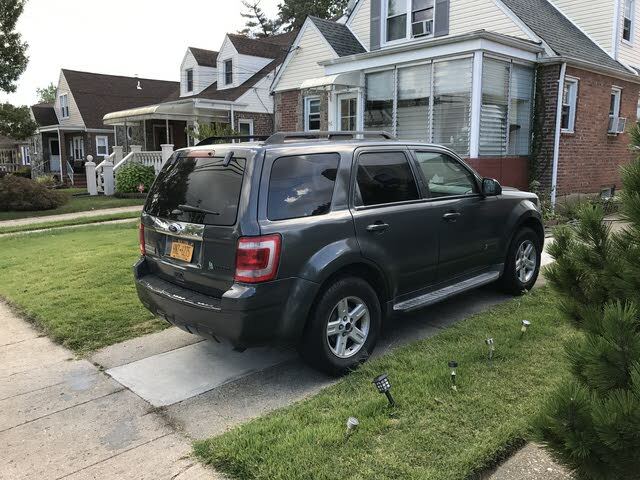 In presenting the Base 2012 Escape Hybrid, the Detroit-based automaker has endowed this compact crossover with a roof rack, premium cloth upholstery, height-adjustable front seats and a 6-way power-adjustable driver’s seat. And that’s just for starters. This entry-level trim also sports digital keypad power door locks and a leather-wrapped steering wheel mounting cruise controls and redundant audio controls, as well as power windows and mirrors, and a trip computer that boasts a gas/electric performance display. Tilt-wheel steering, of course, remains standard aboard the Base Escape Hybrid, as do an auto-dimming rear-view mirror, dual-zone climate control and Ford’s Bluetooth-integrated Sync voice-activated infotainment system. Finally, entertainment is presented via a standard MP3-capable single-CD player with 4 speakers. Complementing the audio basics are satellite radio, auxiliary iPod and iPhone integration, and a USB port. The flagship Escape Hybrid Limited, meanwhile, adds a power sunroof, premium leather upholstery and heated front seats to the standard mix, as well as a universal remote garage door opener, rear parking sensors and a rear-view camera. Chrome exterior accents and added interior lighting also distinguish the upscale Hybrid Limited from its more plebian siblings. Options for both trim levels include voice-activated navigation with a 10GB hard drive, premium audio with HD radio and a subwoofer, remote engine start and rear-seat DVD entertainment. The base Escape Hybrid can be delivered with available upgraded 16-inch wheels and the Limited’s standard power sunroof, while the Limited is available with optional Active Parking Assist, a system that virtually parallel parks this top-shelf Escape with the push of a button. While impressed with the traditional plethora of techno-goodies, reviewers are hardly bowled over by this hybrid crossover’s overabundance of low-rent cabin materials and workmanship. A number of reviewers also lament the fact that the available navigation system continues to complicate many audio functions. Seating, on the other hand, is lauded by most reviewers as roomy and supportive, with the comparatively roomy rear seats noted to accommodate 3 adults in tolerable comfort for shorter journeys. Visibility is described by virtually all reviewers as excellent all around, but a few caution that the narrow doors may hamper exit and entry. Noteworthy standard safety features aboard the 2012 Escape Hybrid lineup include 4-wheel antilock brakes with electronic brakeforce distribution, as well as the ubiquitous traction and stability control technology. Dual front side-mounted airbags are backed by front and rear head airbags, while Ford’s touted MyKey programmable speed and audio settings help the old folks keep a cool head when sis or junior takes the family crossover for a spin. Front fog/driving lights and dusk-sensing headlights also come standard on Ford’s high-class hybrid, with a post-collision safety system bolstered by Sync SOS post-crash alert technology. Finally, owners can feel a bit more secure with the standard passive antitheft alarm. Notwithstanding the plethora of safety features aboard this cute crossover, the National Highway Traffic Safety Administration (NHTSA) gives the Escape compact hybrid crossover only its third-best 3-star rating, in overall safety, with that same 3 stars awarded in all testing criteria. The Insurance Institute for Highway Safety, meanwhile, gives the Escape Hybrid its highest rating of Good in front and side testing, as well as seat and head restraint arrangement, but only a next-to-worst Marginal rating for roof strength. Among the various glitches that owners claim to encounter in the 2012 Escape Hybrid, poor braking performance and a disappointing lack of passing punch from the hybrid four-banger top the list. The low resale value common for this hybrid also concerns a few owners, as do the rather overwrought contortions needed to fold the rear seat. On the plus side, owners laud the Escape Hybrid for its class-leading fuel-efficiency numbers, while many regard its overall reliability as second to none. More than a few owners praise the Escape’s high stance for its provision of good all-around visibility, while others extol the numerous high-tech features they encounter as either standard or optional equipment. Finally, performance factors inherent in the plethora of tech gizmos common to Ford’s latest automobile offerings leads to an equal measure of praise and despair among owners, with many able to quickly master the intricacies and others finding too many gremlins and a steep learning curve in the workings of the various electronics components. What's your take on the 2012 Ford Escape Hybrid? 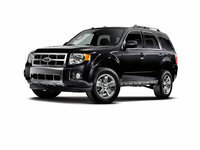 Have you driven a 2012 Ford Escape Hybrid?